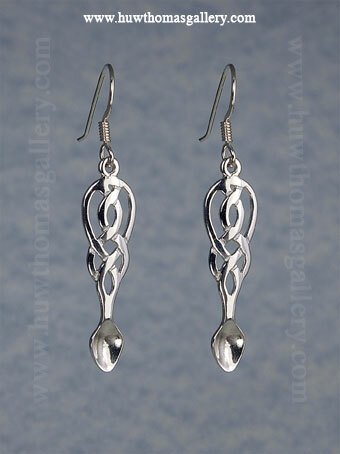 These Lovespoon Earrings are made in Silver, as are the earring wires. These attractive earrings form our Lovespoon Jewellery range come in a smart black presentation box. Click here: If you would like a matching pendant then please select LSP-008 from the Silver Lovespoon Pendant category.